Most of us are familiar with the concept of reducing carbohydrate intake and replacing high-carb foods with foods that are high in protein. Usually, people adopt a high protein diet when they are on a weight loss program and it is widely accepted that following a diet that does incorporate a substantial portion of protein, is a great way to go about shedding weight. 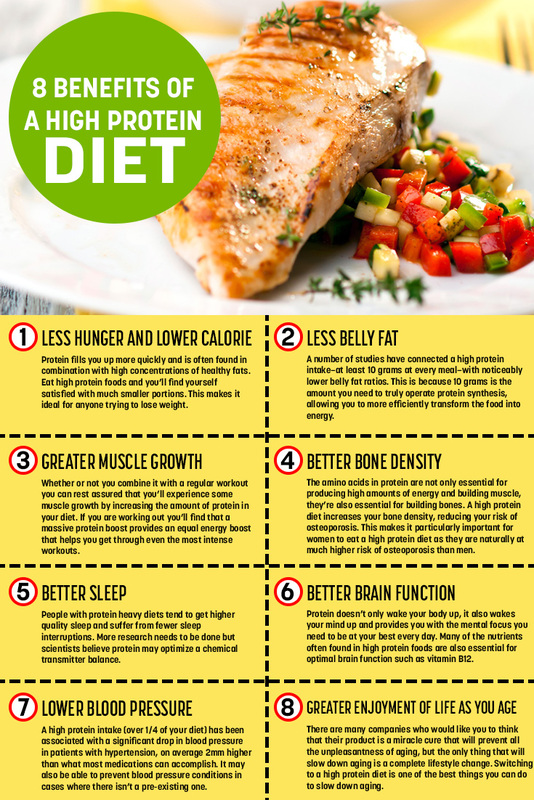 But weight-loss aside, there are many more benefits to a high protein diet and below is an infographic from EFM Health Clubs, which covers 8 important benefits of eating plenty of protein.